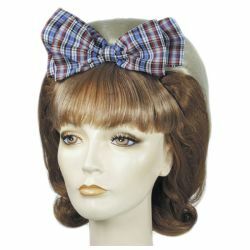 Puffy Beehive with a Bow and a Flip. Very Cute Style. Auburn/Light Blonde Color.